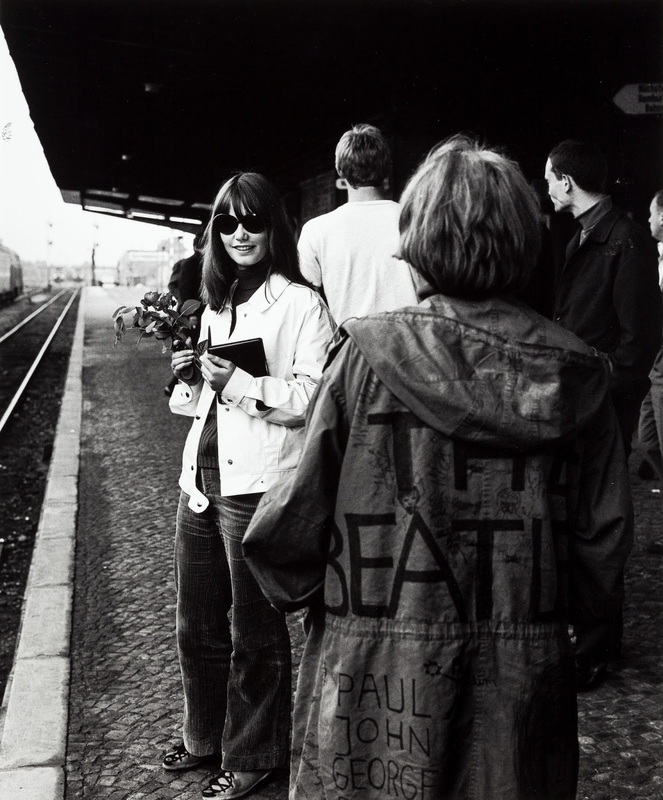 When the Beatles arrived at the train station in Hamburg at 5:30am at least 200 fans were there to greet them. 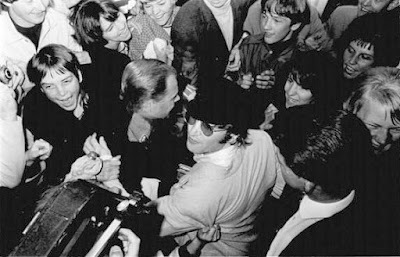 There wasn't much protection for them and the Beatles had to make a made dash to get through the mob of fans. Two fans managed to get autographs (their names are Elke and Sonja) and a few old friends from their Hamburg days also got to see them: Icke Braun and Bettina Derlien (who was wearing a blonde wig because she remembered that John liked blondes) spoke to them briefly and were invited to join them backstage before the concert that night. 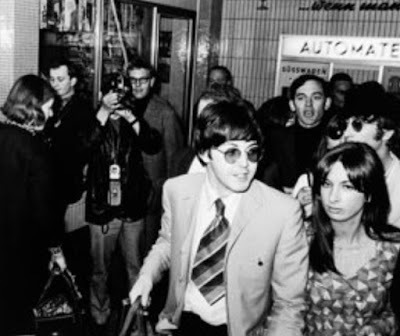 The Beatles went into the car that waited for them and made it to their hotel where they slept until about 1:30pm. 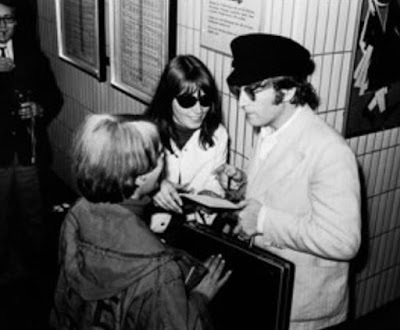 Once they awoke and had some breakfast, John was examined by a doctor for sore throat. 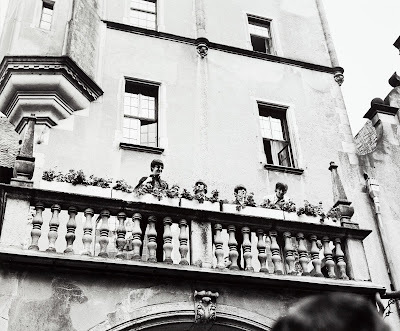 They then went to the balcony and made a 45 second appearance to the fans that had gathered on the street below. 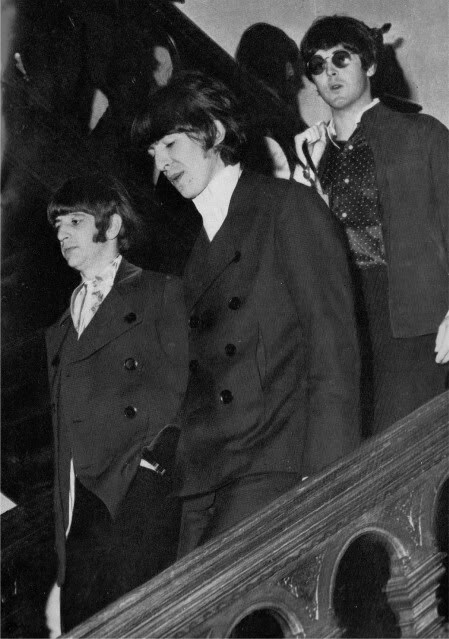 The Beatles left the hotel and went to the venue.